While the world is full of people who love to bake and make masterpieces in the kitchen, not everyone feels that way. Some people don’t like to bake or simply don’t have much time to spend on their kitchen creations. If you are one of these people, don’t worry. There are still ways to deliver a beautiful dessert that doesn’t take hours to make but looks like you have been in the kitchen all weekend. Here are some ways to make beautiful cakes without a lot of time or hassle. Don’t have time to bake a cake? Just buy one from the store. Sure, store-bought cakes can be boring, but you can always dress them up. Just add some fruit to the top or sides of the cake. You can choose the fruit based on the season, party theme, and other flavors in the cake. This cake is perfect for kids’ parties or casual gatherings. 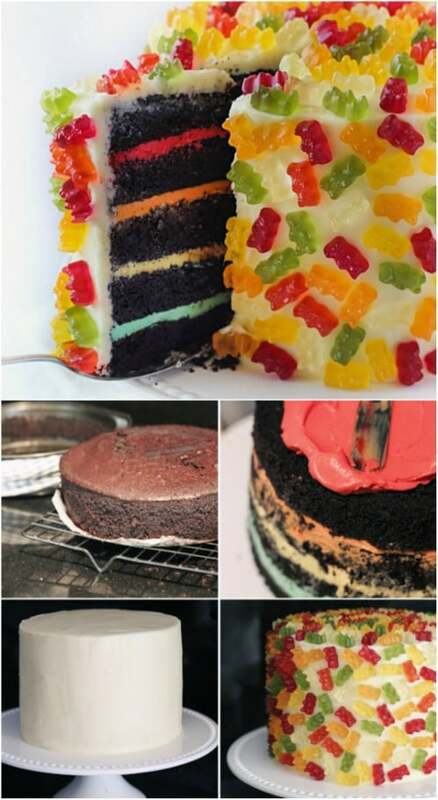 Just prepare your favorite cake recipe and add different colors of icing between each layer of cake. 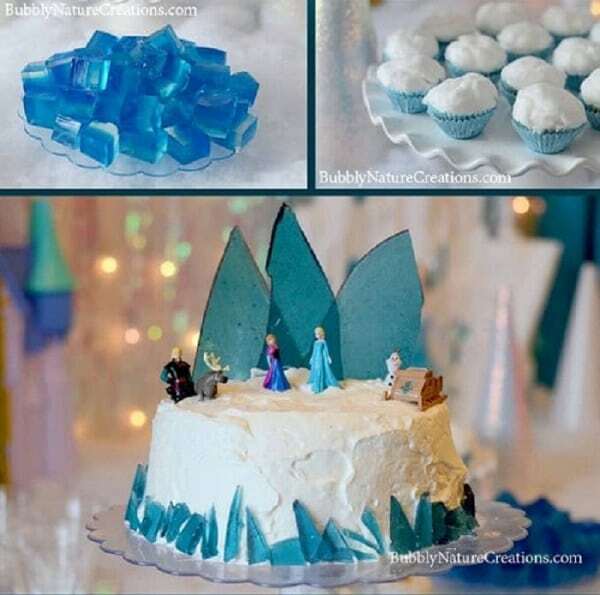 Ice the outside of the cake with the icing of your choice and add gummy bears all over it. They will stick to the icing and make the cake look adorable. If you really want to steal the show with your cake, go easy on the cake and big on the decorations. 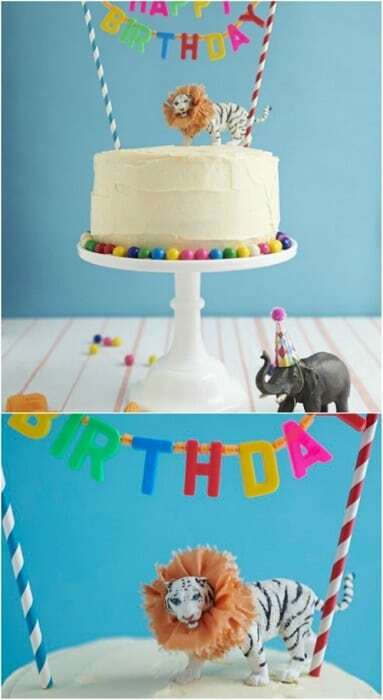 Buy a simple cake from the store and decorate it with carnival décor. You can use plastic animals from the toy aisle, paper straws, and gumballs to get this fun look. Ganache makes everything better, and it always looks fancy. Buy a plain cake from the store and make your own ganache to pour over it. The cake will look like you spent hours making it, and everyone will love the gooey, tasty chocolate ganache on top. It doesn’t get much easier than this, but this cake is adorable. It’s great for birthday parties or baby showers. 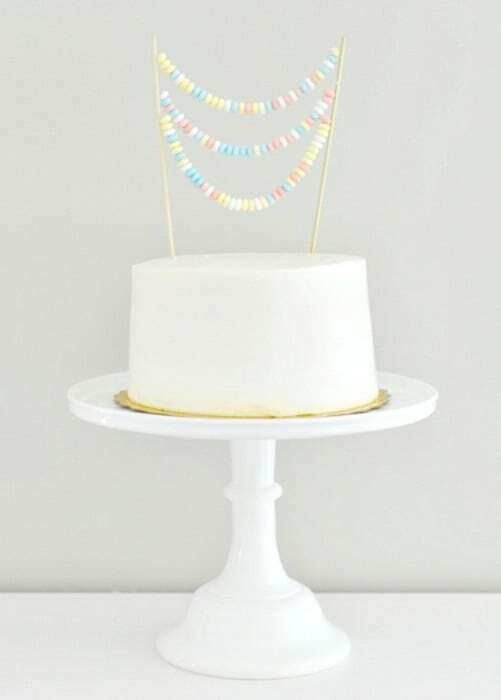 Simply choose a cake from your local bakery and use skewers to attach some candy necklaces to it. The candy necklaces look like a banner and give the cake a fun appearance. This is a beautiful cake, and it will make your mouth water. Simply bake the cake of your choice and ice it as desired. 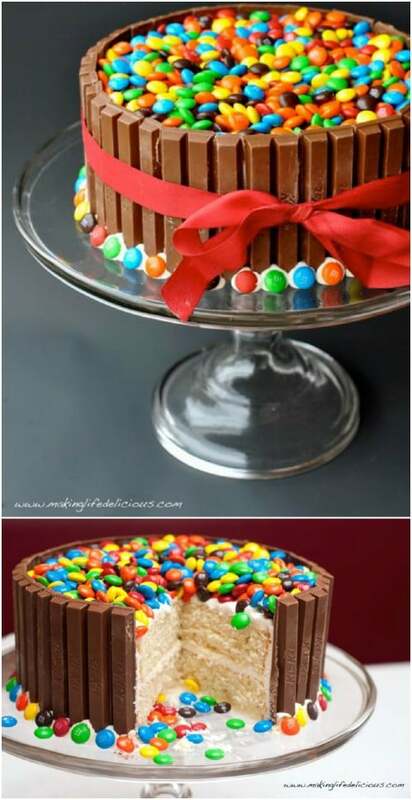 Take Kit-Kat candy bars and use them to line the outside of the cake. You want them to stick up above the cake. Pour a bag of chocolate candies on top, and you have a beautiful cake. Be sure to take a photo because it won’t last long. If you have a little princess in your life and she wants a cake to match her personality, this is a simple option. Bake a cake and ice it as desired or buy one from the store. 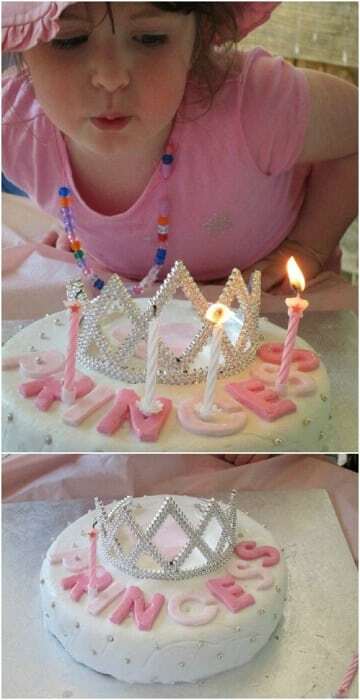 Use fondant or candy letters to write the word “princess” on the cake. 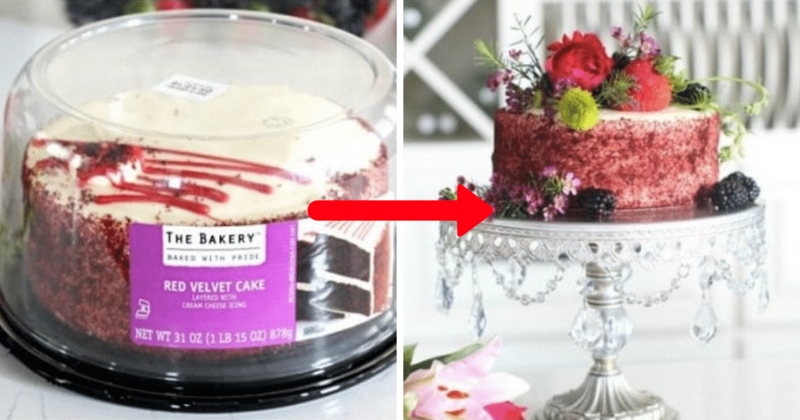 Take a plastic tiara from the toy store and use it as a cake topper. You can also add sprinkles and edible glitter to make it even fancier. This cake is great for summer or spring. Buy or make a cake and then cover it in white icing. Take some Twizzlers candy in different colors and snip off small sections. 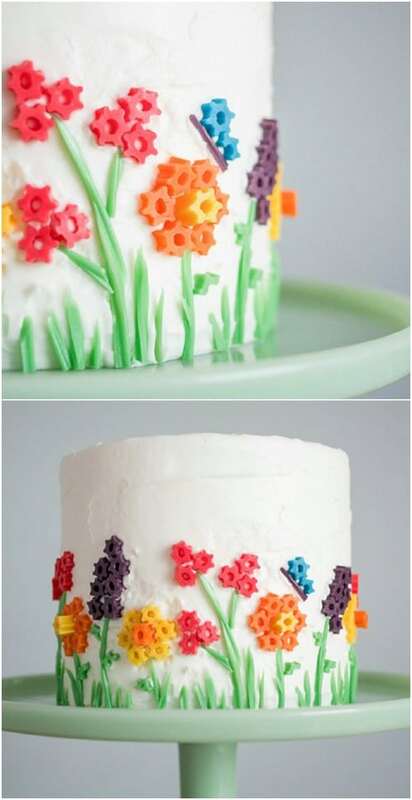 Add the candy to the side of the cake and use either green Twizzlers or green icing to make the stems of the flowers. It’s cute and colorful. It’s the perfect cake for a company picnic or party. Confetti cakes are so fun, but they look like a lot of hard work. Don’t let the photos fool you; you can make them, too. 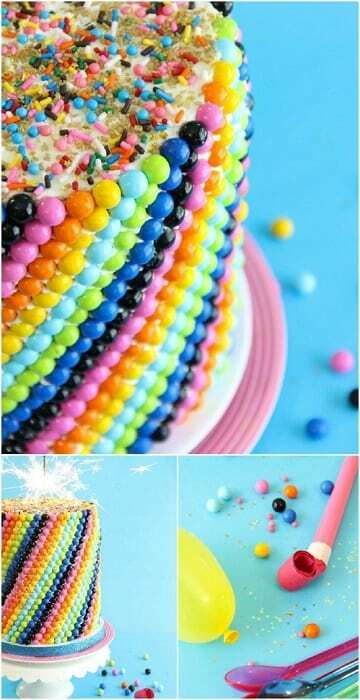 Simply bake and ice a cake as desired, and then use colored candies to decorate it. 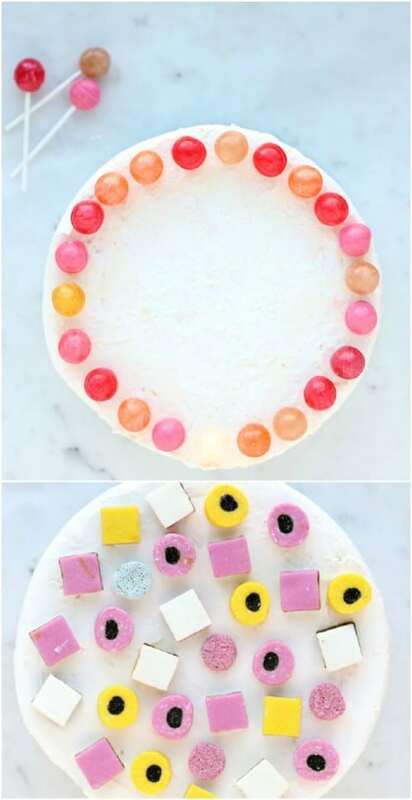 Add Sixlets to the sides of the cake in any pattern, and then top the cake with sprinkles and other décor. Trifles are always pretty, and everyone loves to eat them. You can make one with your own cake or using a store-bought cake. Simply slice it into cubes and add a layer to the bottom of a trifle dish. 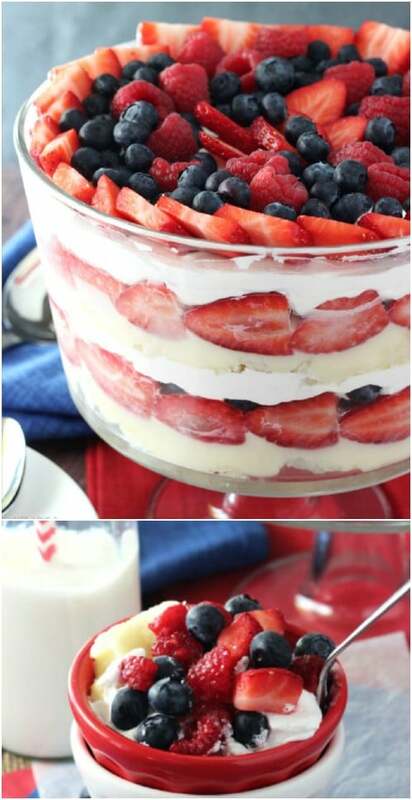 Add fruit and whipped cream and then more cake. Continue to add the layers until you get to the top. If you want a cake with a message, you can use craft pom poms and wooden skewers to spell out almost anything. 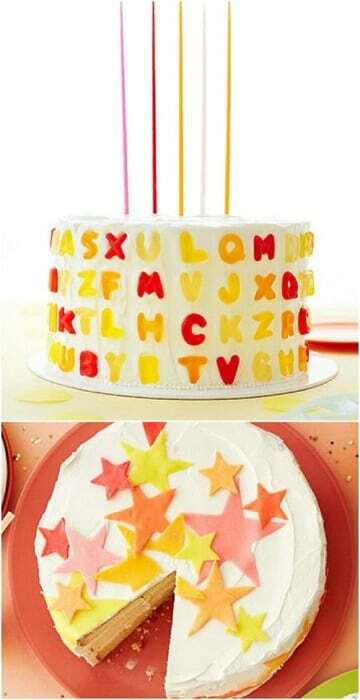 Simply glue them in the pattern or shape of the word you want and then stick the skewers down in the cake. You can’t eat the topper, but it’s fun to look at. Wedding cakes are expensive, but they don’t have to be. 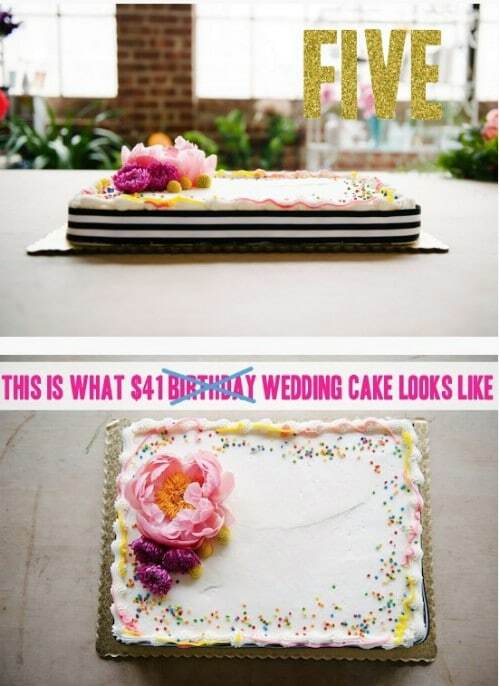 You can buy a normal sheet cake from the grocery store and decorate it yourself for your wedding. Use fresh flowers that match those used in your bouquet or other wedding décor and add them to the cake. It’s simple but elegant, and it won’t cost a lot of money. 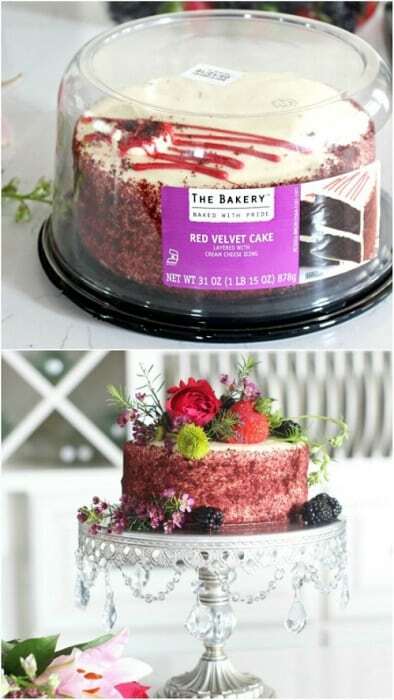 Make a cake or buy one and add the icing of your choice. You can go with plain white or another color. Next, take lollipops and unwrap them. 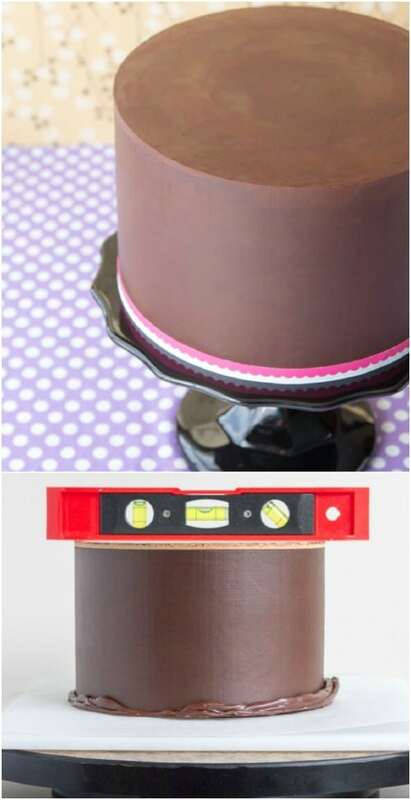 Shove the sticks down into the top of the cake in any pattern. You want the entire stick to be hidden, so only the candy is showing. It’s cute and easy, and everyone will love it. You might get charged a small fortune for kids’ cake toppers at the store. You can buy these toys much cheaper in the toy sections of dollar stores and then use them to decorate your cake yourself. Just add them to the top of the cake arranged in a little scene, and you have a cake any kid would love. 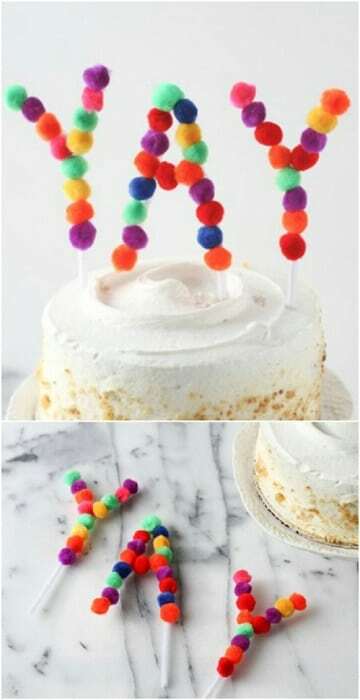 If you want to write a special message on a cake but don’t have great handwriting or aren’t skilled with an icing tube, just buy gummy or candy letters. Just push them into the cake to spell out the message. It’s simple and will look neat. Cedric Jackson is a contributor at Sweet and Savory.